Welcome to our Charitable Giving Webpage. 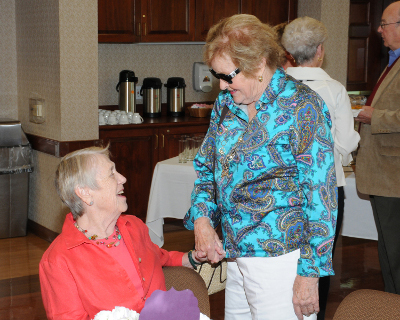 Private support of The Beechwood Home is what has allowed it to be in the forefront of caregiving since 1890. We invite you to support our fundraising efforts such as the Friends of Beechwood appeal, our events, The Benevolent Pathway project and Tomorrow’s Promise Legacy Society, just to name a few. With your help we have much to offer our residents. We provide the highest standard of care and are committed to offering programs and specialized services to those who need it. Your generosity and commitment allow us to continue highly skilled clinical care to people living with progressive, neurological diseases. With the tightening of Medicaid funding, we need your help more than ever. Please look through the ways in which you may consider giving to The Beechwood Home. We appreciate each and every gift. This is their home and we do our best to make it as home-like as possible. Browse through our website or call and take a tour of Beechwood. Please email Judy Sandquist at: jsandquist@beechwoodhome.com. Thank you!